Jeffrey C. Robbins is President of AngelPolleNation. He started this Twin Cities networking organization to further awareness, communication, and education among solo investors, informal investment clubs and formal angel investment groups. For over 25 years, he has represented entrepreneurs who start and grow new technology-based enterprises, as well as representing angel and venture investors who target those companies. As a result of seeing this void in the ecosystem, Robbins started a quarterly networking group for investors called AngelPolleNation. Robbins says UNLV, VegasTechFund, and accounting firm WSRP have each agreed to cover expense with his law firm to help put on quarterly AngelPolleNation events in Las Vegas. Robbins says AngelPolleNation Las Vegas events will always feature an education segment and presentations from three Nevada-based, early-stage companies. The company has a product or service developed at least to a prototype level. The company has its first paying clients, or at least several beta customers. 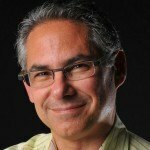 “Angel investors like to know that there are, or at least there is the potential for, paying customers,” he advises. The company is seeking to raise an amount that Robbins thinks angel investors can rally around, which he finds is typically $500,000 to $1.5 million. The company can tell its story in eight minutes. “That’s what each presenting company gets, with no Q&A interruptions,” he says. Robbins says the Las Vegas tech and angel communities are notably smaller than he thought they would be. He has noticed that in the Las Vegas investor community, Vegas Valley Angels and NV Angels are no longer active. “These were terrific initiatives that, for various reasons, haven’t survived,” he noted. When it comes to the startup ecosystem in Las Vegas, Robbins says a lot of dots need to be re-connected. “And then, new dots need forming,” he added. To get the ball rolling, Robbins says he has been reaching out to Minnesotans who’ve relocated to Las Vegas to invited them to get involved with the startup ecosystem. Those interested in being part of AngelPolleNation can reach Robbins at [email protected] “I make it a point to meet up in person with companies and investors each month,” he says. 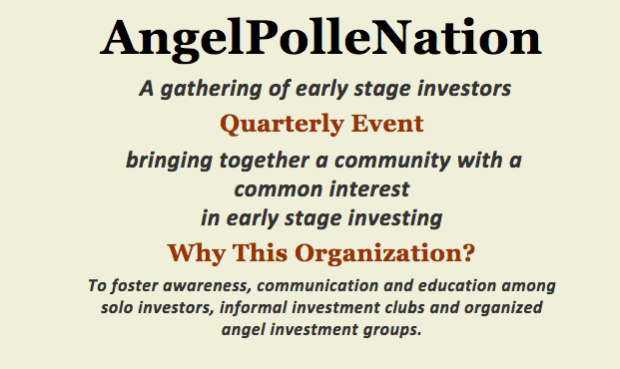 Learn more about AngelPolleNation’s first event in Las Vegas here. Tickets are $40.00.